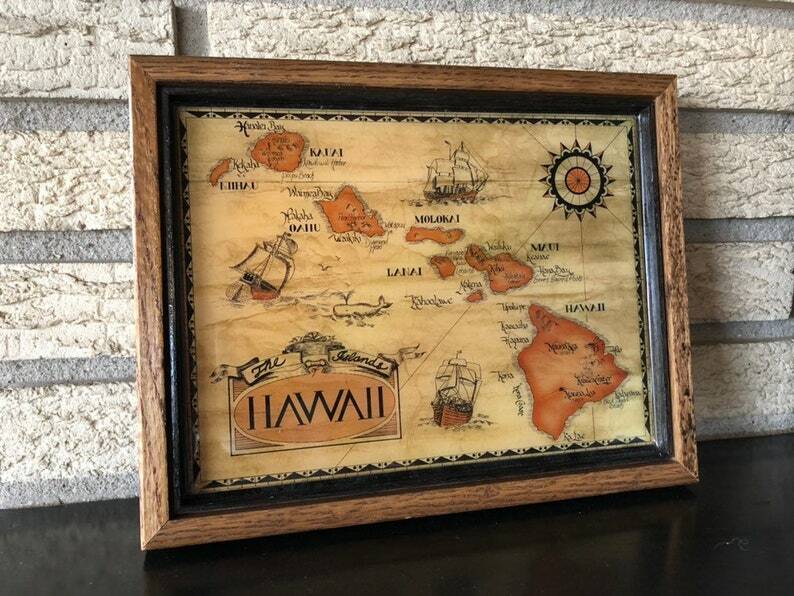 Cool looking copyright 1985 Hawaii Islands Wall art. Back is stamped "K&S Hawaiian Creations copyright 1985 Honolulu Hawaii". It's a great wood piece, the face is a high gloss. If you move the frame in the right light, you can see a few streaks on the front, but not really noticeable. Wood frame is great. A plastic hanging piece on the back that was never used. This print is a gorgeous orange and brown color scheme. Has a great retro, mid-century vibe to it! 9.5" wide by 7.5" tall.